I need a spirit who can touch my life. I need a voice to speak the truth. I need a soul who will be on my side. I need a heart I´ll never loose. Sometimes I wonder if my dreams are right. I need somebody who can move my world. Someone who knows just what to do. Ascension was Rick Simmonds & Stephen Jones, both well known in the trance-genre under aliases like Chakra, Lustral, Simmonds & Jones and The Space Brothers just to name a few. 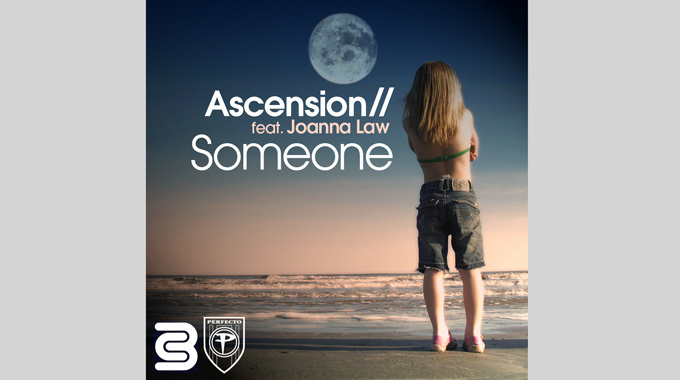 The Ascension-project was started in 1997 and their first track, Someone (with vocalist Joanna Law) was signed to Paul Oakenfold’s Perfecto-label although Rick and Stephen had planned to release all their various releases under Judge Jules’s Manifesto-label. The initial 1997-release contained Original Vocal Mix together with Slacker’s Rolling Mix and Slacker’s Elevation Vocal and eventually a few new remixes appeared from producers like The Thrillseekers, Signum, Space Brothers, Binary Finary & Robert Vadney just to name a few. What I really like is the soothing vocals by Joanna which gives the track that special feeling. The 1997 original vocal was long one of my favourite until the release of The Thrillseekers remix in 2000. Was quite an experience to see The Thrillseekers play this in his classic set on Luminosity Beach Festival last year. Lately though, i’ve been listening to the fresher Signum Remix as I really love what they did with the darker and fuller strings in the background. Someone has been released on a total of 16 different releases whereof the latest was in 2011 on Armada Digital with fresh remixes by Signum and Robert Vadney. Ascension’s second track, the 2002 release, For A Lifetime (with vocalist Erin Lordan) was signed to Alex Gold’s Xtravaganza-label and came with a bunch of interesting remixes by Oceanlab, Lustral and Alex Gold vs Coast 2 Coast. The release was later re-released in 2011 on Armada Digital with fresh remixes by Roger Shah and a brand new chillout-version. So what happened to Rick and Stephen since the Ascension-project ended? Well, they founded the online music store, Audiojelly where you can find all their tracks under various aliases together with many of your favourite producers. Most of their aliases has been droped since 2005 but Lustral is still going strong and released a single last year. When it comes to Ascension’s music, I believe that the track Someone is one of those early trance-tracks that people recognize and have fond memories of so my guess is that will live on in most of the older clubbers memories. A cool thing that i’ve seen lately is that many of the older dj’s have been doing loads of classics sets which both the older and the newer audience likes. And if one track gets stuck in the newcomers brains, the DJ’s have definitely done their job. There are so many awesome classical tracks out there that will be forgotten if no one listens to them. So keep on playing classics!